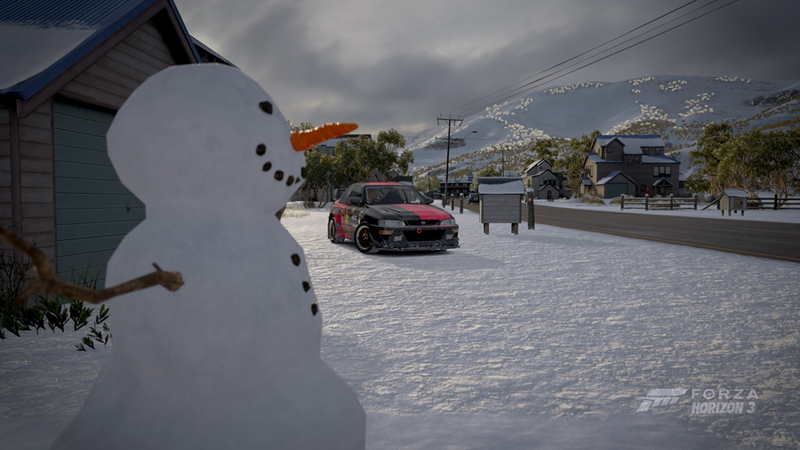 Forza Horizon 3 has so much content packed into the main game that I was reluctant to even download the Blizzard Mountain DLC. The online adventures could keep you busy for a while if you enjoy multiplayer online. If not, you could simply load up your favourite tracks and compete against your rivals list. 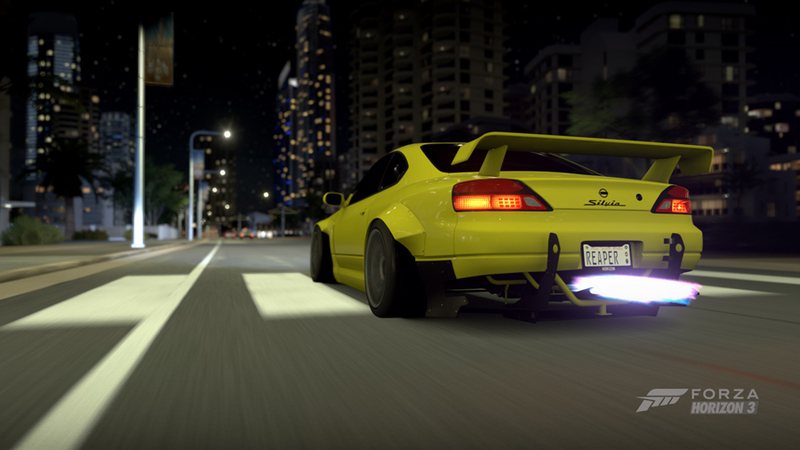 Or my personal favourite, wasting hours on end drifting the same patch of road for literally no reason at all. Have a read through my first article if you missed it. My only complaint in this entire series is the Co-Op Campaign matching system. I’ll admit I don’t have friends that play this racing game online but to even start public matchmaking you need to invite at least one other person. You can completely ignore the Co-Op Campaign option and just play solo like I do, however they threw in an achievement tied to this option. I’m not really an achievement hunter per se but I do like to see that 100% next to games I truly love (still working on Halo MCC…). So I had to resort to searching for Co-Op games online, joining them and crossing my fingers that the party leader was even playing and starting events. What they need to do is add a system that shuts down these stupid parties that you can join that only consist of one other person who has stepped away from their Xbox. Or perhaps promote another member to party leader if the party leader is inactive for 5-10 minutes? I did manage to find one soul who actually was starting events (mind you it was the same track over and over, but at that point I didn’t care). So with the main game now 100% complete I finally bit the bullet and bought the Blizzard Mountain Add-On. 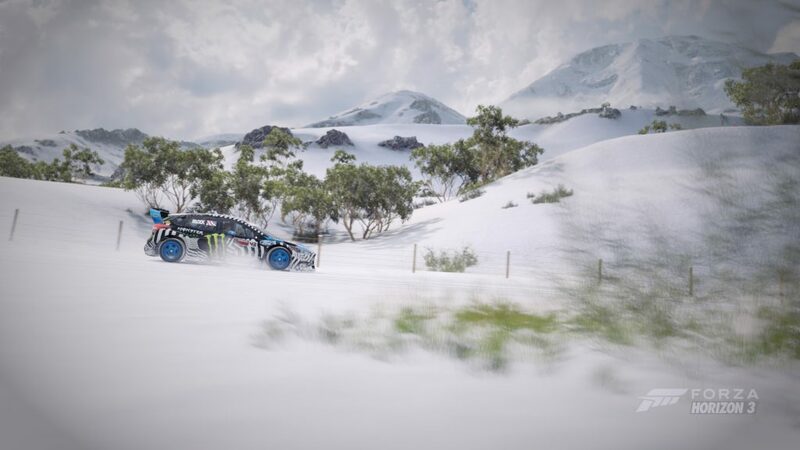 It gives you eight more cars to play with and an amazing new area of Australia to explore. Hillclimb races, downhill races, slippery races through a ski village, and of course races through the mountains in white-out conditions. Forza kills it again in the visual department. The gorgeous scenery and landscapes on the mountain are perfect. Although the map isn’t extremely large they pack it full of different types of events and challenges. 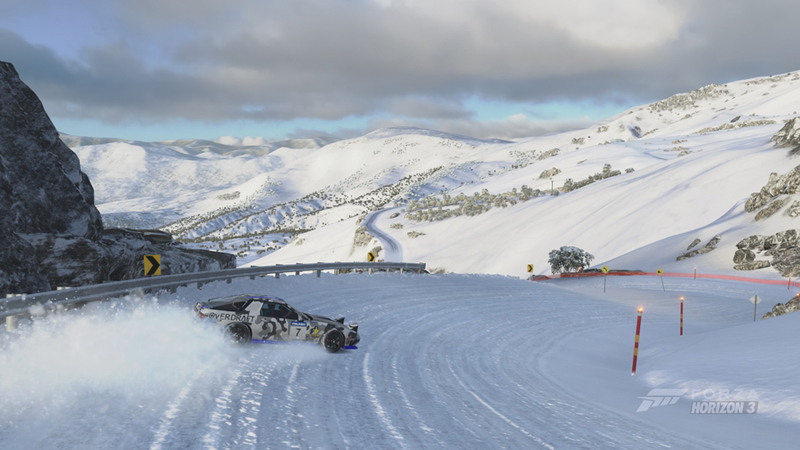 Snow drifting AWD cars through the drift sections instead of just RWD cars was a fun change. Just like the main game, I wasn’t a huge fan of the fully off-road races as flying through trees and over 80 meter drops just seems ridiculous to me. 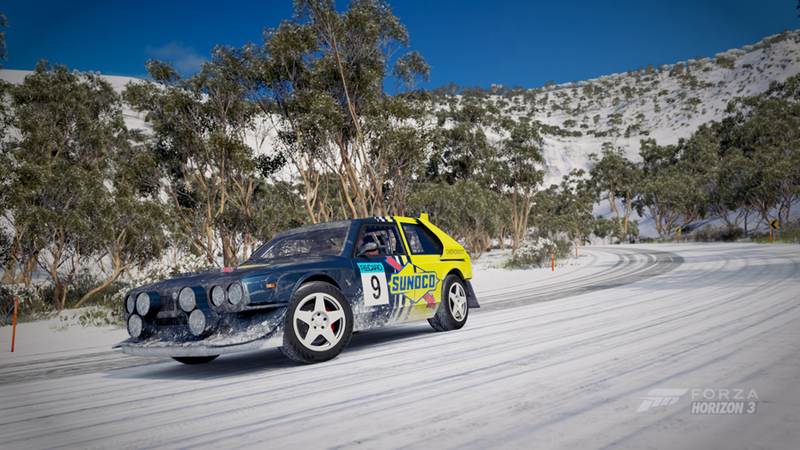 Give me some windy snowy trails though, and I’m loving it. They added another interesting element to the races in the form of challenges. 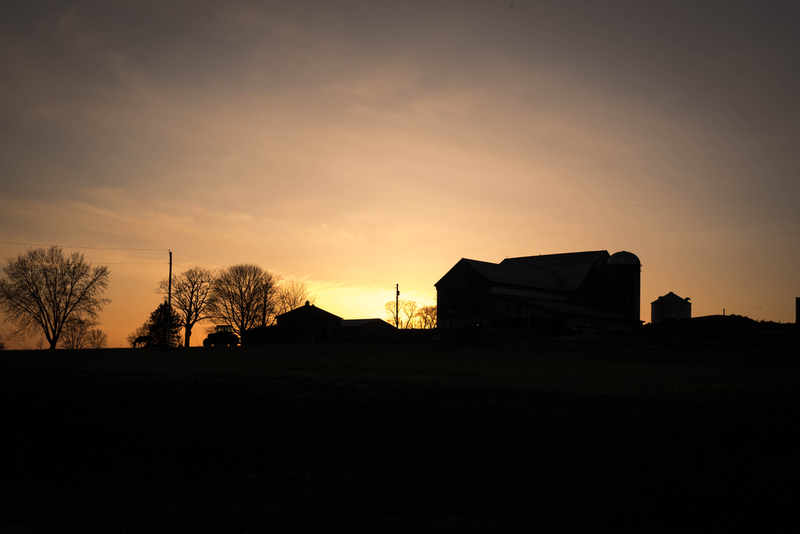 Now not only do you need to finish first but you have to complete a specific task as well. Like drift 30 times before you finish the race, get 10 big air points, or earn a certain amount of skill points. It adds an interesting dynamic which I enjoyed. My general consensus is that I should’ve purchased this DLC sooner. It’s really, really fun. Hearing your car’s engine note bounce off the mountain as you fly down a snowy road at 180kph is just epic. 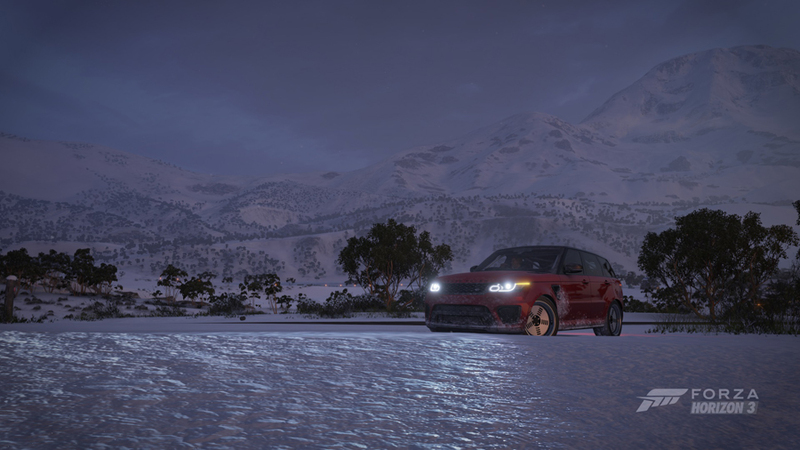 The Forza Horizon games are filling my desire for customizing vehicles as well as really well thought out and accurate drive-ability. Not to mention the games are drop dead gorgeous, and sound so so good. My hats off to you Microsoft Studios, Playground Studios and the Turn 10. Keep making stellar games. 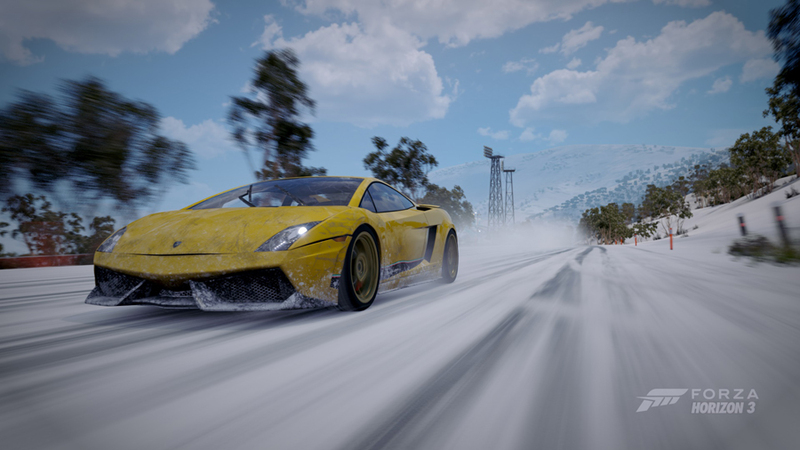 All photos taken with Forza’s in-game photo engine by BenJumpin. Add me and lets shred some snow covered roads!